Another week has whizzed past and here we all are again. I've selected a few items that I hope you'll find interesting or at least worth clicking on a link or two. Our staff and volunteers out on the Trails of History are really working hard to keep up a steady flow of programming and events. If you've been able to visit and take part, I'd love to hear from you in the comments. Since we're just about to the end of the month, I've included a list of just this weekend's events. We'll have the August listings next week (at least that's my plan). Earlier this week, interns from the PHMC's Keystone Internship Program, most of them based in Harrisburg, took a field trip to visit Ephrata Cloister and the Railroad Museum of Pennsylvania. Many thanks to the interns, mentors, and site staff for making it a good day. The interns posed for a photo in Rolling Stock Hall at the Railroad Museum. Check out those smiling faces. Speaking of interns, have you been following the activities of Ephrata Cloister's interns? They've been sharing their progress reports through the Chronicle Ephrata blog. I really enjoy seeing what they're up to. In other Ephrata news, PHMC's info specialist, Sean Adkins, live-tweeted a tour of @EphrataCloister yesterday. UPDATE: You'll find the whole tour on Storify. The Pennsylvania Military Museum presented "Vietnam Revisited" this past weekend and shared photos on Facebook of the event (they've also invited attendees to share some of their own photos as well). They also received some good local coverage. If you missed the program, you can still catch the exhibit, "Vietnam Remembered," featuring objects donated by soldiers who served during the Vietnam War. July 27: Site open—the site is open every Sunday afternoon through Labor Day weekend, noon to 4 pm. July 27: Interpretive Sunday—spend a summer Sunday afternoon learning about 18th-century military life. Included in regular admission. Noon-4 pm. Saturday and Sunday: Historic Pithole Open, 10 am-4 pm. July 26: Blacksmith Demonstrations—monthly demonstrations take place the last Saturday of the month through October. Included in regular admission. 9 am-2 pm. July 26-27: 1940s Weekend—learn about wartime on the homefront and in the military, circa 1944. Military and civilian reenactors will be on site; Holocaust survivor Severin Fayerman will share his experiences. A swing-era USO Dance will be held off-site the evening of July 26. Visit the website for details. 10 am-5 pm (dance is at 6). This just in: if you're traveling to Eckley via Weatherly, there is new directional signage to help you find your way! July 26: Student Historian Saturday—members of Ephrata Cloister's teen interpreters group will be on hand to help bring the stories of the site to life and answer questions for visitors. Included in regular admission. 10 am-3 pm. July 26: Discovery Day—Little Mates Kids Club members will learn about the life of a sailor through hands-on activities and music. For details (or questions about membership info), email Julie Wagner. July 26-27: Civil War Weekend—the site is transformed into a rural Pennsylvania village in 1863, with reenactors portraying soldiers and civilians. Included in regular admission. 10 am-4 pm. July 26: 19th-Century Trades and Crafts—each Saturday has a different focus. Included in regular admission. 11 am-4 pm. July 27: Rediscovering Peace Church—learn about the history of the church and visit the adjacent cemetery. 3-4 pm. July 27: Garden Highlights and Beer Brewing Demonstration—spend some time in the kitchen garden and see what the gardeners are up to, then see how the hops growing in the garden get turned into beer. Included in regular admission. 1-4 pm. 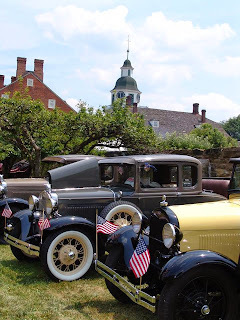 July 27: Somerset County Appreciation Day—Somerset County residents are invited to come and enjoy an afternoon of baseball, band music, and local history as they explore a historic site in their own backyard. Free admission. Noon-4 pm. Fridays in July: Learn at Lunchtime—admission is free every Friday between 11 a.m. and 1:30 p.m.; free docent tours at 12:15 p.m. and 1 p.m. (List of topics and speakers). Looking for something to do this weekend? Check out the July program listings and enjoy. 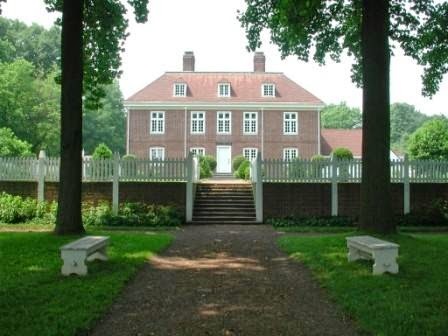 As you may have heard, this year we are celebrating the 75th anniversary of Pennsbury Manor as a historic site. The reconstruction of the Manor House began in the 1930s and the site opened to the public in 1939. Today (July 18) at 10:30 am some 50 people from many different nations will become United States citizens in a ceremony held in front of the Manor House. Congratulations to our new fellow Americans and to the folks at Pennsbury for hosting this meaningful event, as well as the many other events scheduled during this anniversary year to celebrate William Penn's legacy and the Penn family's American home. @PHMC will be live-tweeting the citizenship ceremony (even if you don't catch it live, you can get the details afterward). The Pennsylvania Military Museum, in the lead-up to their "Vietnam Revisited" program this weekend, has been featuring Medal of Honor awardees from Pennsylvania on their Facebook page. A nice tribute, I think. And I'll add a reminder here that all Trails of History sites are participating in the Blue Star Museums program this summer; in fact, we offer free admission to active duty military and their families year-round. Cornwall Iron Furnace was recently voted Best Historic Attraction in the Lebanon Daily News 2014 Best of the Lebanon Valley list. If I'm not mistaken, they were similarly honored in last year's voting as well. Congratulations to all. 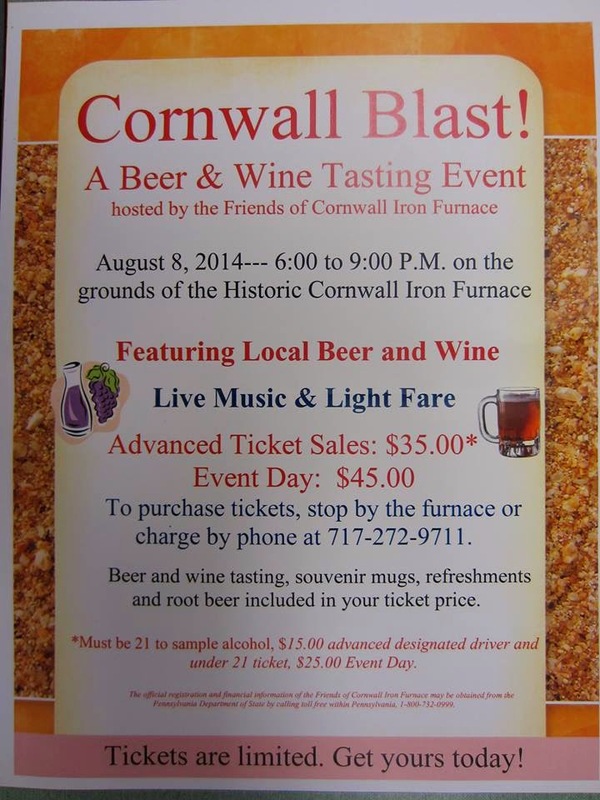 You might want to mark your calendars for the August 8 Blast! event in order to see this wonderful site for yourself (or visit it again if you've been there before). In preparation for their 1940s Weekend (July 26-27), some volunteers at Eckley Miners' Village received some well-timed dance instruction to be "in the mood" (sorry, that one's mine) for Saturday night's Swing Dance. A & M Ballroom Dance guided them through some steps and will be on hand for the dance. Eckley posted a few photos on Facebook. For details on the weekend activities or a bit of info on the 1940s in the anthracite region, visit Eckley's website. The collections and buildings at Ephrata Cloister have received some good news coverage this past week or so, with the acquisition of a business ledger associated with the community and some interesting graffiti and possibly original paint color found on the Academy building. On top of that, the site has gotten some attention for its summer tour options, with Student Historians, staff, and volunteers providing visitors with more opportunities to explore the history of the site. Classic cars at Old Economy Village for "An American Celebration"
And I'll wrap this up with a couple of items related to Old Economy Village. Last weekend's program, "An American Celebration," featured a day of activities, live music performances, and classic cars. (OEV's Facebook page has photos to give you a flavor of the event.) Yesterday's Pittsburgh Post-Gazette had an article spotlighting OEV's curator, Sarah Buffington, her interest in clothing and reenacting, and her work at the site (there's still time to catch the Harmonist clothing exhibit, "A Style of Their Own," before it closes on August 10). Yesterday, Drake Well was honored to host five researchers from Penn State University’s Richards Center Civil War Digitization Project. They spent all day going through the best of the museum’s Civil War related collections to compile the metadata needed to list the collections on their website. They also evaluated the rarity, research importance and condition for possible digitization in the next phase of their project. The metadata should be posted on their website this fall. Of particular interest was the Col. John J. Carter Collection. Carter, a Medal of Honor recipient, came to Titusville as a merchant in 1865 and became an important oil tycoon. The Carter Oil Company was absorbed by Exxon Mobil in the middle of the 20th century. Drake Well's Civil War era collections include a cane that belonged to John Wilkes Booth (who spent some time in the oil region). Tomorrow evening (July 12), Somerset Historical Center has a program called "Between the Lines," featuring readings from Civil War diaries, letters, and newspapers. The experiences of Somerset County soldiers and the families they left at home will be brought to life through their own words. According to Clark Brocht, past commander of the Mt. Union Church Camp, Sons of the Union Veterans,"The War affected everyone, young and old alike, and what makes these stories unique, is that they are from people who once walked in the same places we do today.” Costumed volunteers and staff (many of them descended from Civil War veterans) will be on hand and the Berlin Fife and Drum Corps will provide lively period music as well. The program takes place at St. Paul's Presbyterian Church in Somerset. 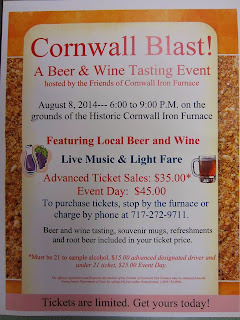 Admission is $15 ($12 for members of the Historical and Genealogical Society of Somerset County). Tickets will be available at the door, or you can call 814/445-6077. Okay, so I wasn't able to make this one fit the Civil War theme, but one of you clever readers can probably do it. This past weekend was the annual Bark Peelers Convention at the Pennsylvania Lumber Museum and they've posted some pictures on Facebook. Looks like a great time! I'm posting a day early this week due to the holiday. Most Trails of History sites are open tomorrow; special events are listed below (along with everything else for this month, that I know of). I hope you have a safe and festive Fourth of July and are able to extend the good times through the weekend. July 10: Scranton/Wilkes-Barre RailRiders Baseball game—Anthracite Heritage Museum and Scranton Iron Furnaces is the featured community organization of the night. Enjoy an evening of minor league baseball; a portion of proceeds will benefit the museum and its programs. Call the museum at 570/963-4845 for tickets. July 13: Exhibit opens—"A Geological History from the Coal Age to Dinosaurs" features intricate wood carvings by artist Gene Moyer. Included in museum admission during regular hours. July 15-18: Life in the Anthracite Region—Anthracite Heritage Museum summer day camp for kids ages 7-12. Fee charged and registration is required; call 570/963-4845 for details. Through August 8: Summer History Camp—new sessions each week, age groups and focus vary. Check the website for availability; July 14-18 is full. July 13: 10th Annual 5K Trail Run/Walk—Bushy Run is the site for this annual event benefitting the Penn-Trafford Area Recreation Commission (PTARC); visit PTARC's website for registration info or pick up a form at the Bushy Run Battlefield Visitor Center. July 20: 4th Annual Classic Car Cruise—classic and custom cars, live music, food, drink, and more. Contact the site, 724/527-5584, for details. 11 am-4 pm. July 6: Patriotic Concert in the Park—this annual event honors all military veterans. Admission and parking are free, contributions are gratefully accepted. Please bring your own chairs or picnic blankets. 1:30 pm. July 13: Weiser Interpretive Sunday—enjoy a summer afternoon at the homestead learning about life in the Tulpehocken. Noon-4 pm. July 20, 27: Site open—the site is open every Sunday afternoon through Labor Day weekend, noon to 4 pm. July 4: Independence Day Event—learn about 18th-century military service and homefront life during the American Revolution and enjoy a day of activities for the whole family. Admission is $6 (age 13+), $4 (age 4-12). As a fundraiser, Friends of DBH will be offering pulled pork sandwiches for sale; $6 (adults) or $4 (children) gets you a sandwich, 2 sides, and a drink. 10 am-4 pm. July 6, 13, 20, 27: Interpretive Sundays—spend summer Sunday afternoons learning about blacksmithing (July 6), wool dyeing (July 13), basketmaking (July 20), and 18th-century military life (July 27). Included in regular admission. Noon-4 pm. July 9, 17, 23, 30: Sawmill Operation Days—subject to staff availability, there will be two half-hour demos of the reconstructed sawmill on Wednesdays in July. Call 610/582-4900 to confirm. Demos are free, admission fees apply for guided and self-guided tours of the historic area. 11 am and 2 pm. July 15-17: History Day Camp—participants will learn about the kinds of things Daniel Boone did as a child growing up in the Oley Valley. Cost is $90 per participant ($80 for Friends of DBH). Space is limited and pre-registration is required. July 23 and 30: Junior History Workshop—These hands-on workshops for kids entering grades 3-6 teach about Hearth Cooking (July 23) and Life in the Militia (July 30). Cost is $25 per child ($20 for Friends of DBH). Space is limited and pre-registration is required. You can download a registration brochure for History Day Camp and Junior History Workshop on the website or call 610/582-4900. Saturdays and Sundays: Historic Pithole Open, 10 am-4 pm. July 24: MEET-U Golf Scramble—fundraiser for the museum's mobile education unit. Participant fees vary. Visit Drake Well's website for details. July 26: Blacksmith Demonstrations—monthly demonstrations take place the last Saturday of the month through October. Included in regular admission. 9 am-2 pm. July 26-27: 1940s Weekend—learn about wartime on the homefront and in the military, circa 1944. Military and civilian reenactors will be on site; Holocaust survivor Severin Fayerman will share his experiences. A swing-era USO Dance will be held off-site the evening of July 26. Visit the website for details. 10 am-5 pm (dance is at 6). July 9: Storytime—Preschoolers are invited to bring a parent or guardian to enjoy a story inspired by colonial life followed by a related craft activity. Cost is $6 for one adult and child (age 3-5), $3 for each additional child (and it's FREE if you have a Family Membership in the Ephrata Cloister Associates). 10-11 am. July 12, 26: Student Historian Saturdays—members of Ephrata Cloister's teen interpreters group will be on hand two Saturdays in July (as well as on August 9 and 23) to help bring the stories of the site to life and answer questions for visitors. Included in regular admission. 10 am-3 pm. July 4: Friends and Family Day—hands-on activities for the kids, free admission to the museum and tours of the ship, a free hot dog, and a chance to win a Day Sail--what more could you ask for? 9 am-5 pm (kids' activities 11 am-3 pm). July 21: 3rd Annual Flagship Niagara Open—details and registration are on the website. Part of your registration fee is deductible and supports the Flagship Niagara League's programs. UPDATE 7/7/14 (ONE I MISSED) Discovery Day—Little Mates Kids Club members will learn about the life of a sailor through hands-on activities and music. For details (or questions about membership info), email Julie Wagner. July 4: Fourth at the Fort—there will be a variety of activities throughout the weekend. Check the website for details. 10 am-5 pm. July 7-11: Visual Arts Storytellers Camp—Graeme Park is the host site for a creative expression workshop for children who have completed grade 3, 4, or 5. Workshop is offered as part of the Pennsylvania Writing and Literature Project (PAWLP); details are available through the PAWLP website. July 20: Site is open—visit the grounds and take a guided tour of the mansion (at 1, 2, or 3 pm). Admission is $5 (age 18-59), $4 (60+ and 6-17), free for age 5 and under and Friends of Hope Lodge. 12:30-4 pm. July 23-25: History Camp—designed for elementary age students, this program takes place in the morning. Enrollment is limited; please register by July 21. Registration form and details are on the website. July 8-11: Summer Camp Sampler—lessons, chores, and games explore the Colonial, Victorian, and Great Depression eras with day campers age 5-11. $90 per child. 9 am-12:30 pm. UPDATE July 12-13: Lancaster Folk Music and Fiddlers Society—enjoy live music Saturday and Sunday afternoon in the Millstone Grove. Included in regular admission (so, free for members!). 1-3 pm. July 15-18: Historic Trades Camp—Day campers age 12-17 explore various trades and learn about being apprentices. $130 per child. 9 am-12:30 pm. A flyer with more information and registration instructions for both camps is on the website. July 5, 19, 26: 19th-Century Trades and Crafts—each Saturday has a different focus. Included in regular admission. 11 am-4 pm. 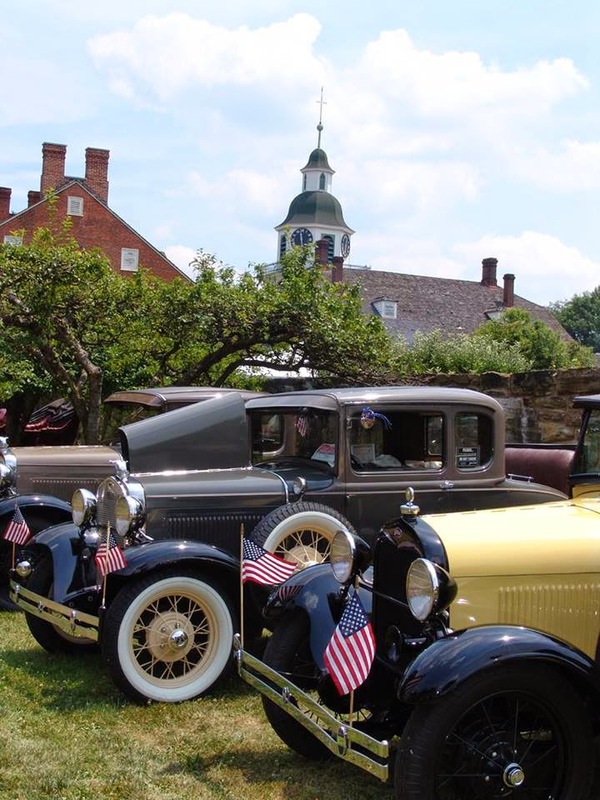 July 12: An American Celebration—pre-1950s antique cars will be on display around the village, along with food, games, entertainment, and artisans. There will also be a spelling bee (word list is available for study purposes) and live music (full schedule of performances). Included in regular admission. 10 am-4 pm. July 21-25 and July 28-August 1: With Heart, Hands, and Harmony—this interactive summer history camp invites kids ages 6-12 to explore the village with the help of volunteer artisans and demonstrators. The program brochure has details and a registration form. July 6: Historic Trades—the blacksmith and the joyner will be demonstrating their skills with iron and wood. Included in regular admission. 1-4 pm. July 7-11 and 14-18: Colonial Camp—each week-long camp provides hands-on learning as students explore life in the 17th century. Camp is open to children who have completed 1st through 6th grade. The camp brochure has the info you need. July 13: Living History Theater—“Anti-Slavery Protest” explores the first documented protest against slavery in America during a historic gathering at the Germantown meetinghouse. Included in regular admission. 1-4 pm. July 20: Open Hearth Cooking—the cooks have winter on their minds as they start the work of preserving summer's bounty for the months ahead. Included in regular admission. 1-4 pm. July 5-6: 40th Annual Bark Peelers’ Convention—this hugely popular event recreates the 4th of July celebrations of Pennsylvania’s early 20th-century lumber camp workers and “woodhicks.” Details are available on the Museum's Facebook page, and you can also see photos from previous years. Admission: $10 (age 12+), $3 (age 3-11). July 19-20: VIETNAM Revisited—living historians portray American combat and support troops “in country” in the late 1960s; visitors have the opportunity to accompany squads on short range patrols (closed shoes and long pants recommended if you plan to participate in these demos). (Photos from last year's event are on the website.) 10 am-4 pm (tactical demo at 2 pm each day). July 25: Registration deadline for Boot Camp for Kids—camp takes place August 2 and is open to boys and girls ages 8 to 13; details and registration info. July 1-6: Reading Railroad Days—offered in conjunction with the Reading Company Technical & Historical Society, this program features an enormous HO-scale model railroad and highlights Reading Company rolling stock in the Museum’s collection. Details are on the website. Included in regular museum admission. 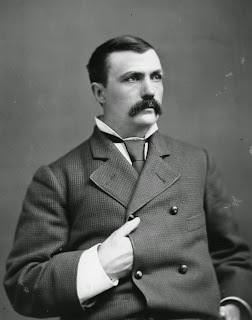 UPDATE July 25: An Evening with Thomas Jefferson Thomas Pitz, of Orange County, Virginia, will portray our third President and one of our most intriguing (in my opinion) founders. Visit Somerset's Facebook page for more info closer to the date. Free admission. 6:30 pm. UPDATE July 27: Somerset County Appreciation Day—Somerset County residents are invited to come and enjoy an afternoon of baseball, band music, and local history as they explore a historic site in their own backyard. Free admission. Noon-4 pm. Thursdays in July: Summer Storytime Series in Curiosity Connection—geared to ages 3-5, but all are welcome. Each week includes a different book and a related activity. (List of books.) Included in regular admission. July 18: 3rd in the Burg—Enjoy the 2014 Art of the State exhibit and the first "Artist Conversations" program of the summer. New PHMC Information Specialist Sean Adkins attended the exhibit's opening reception and blogged about them earlier this week on Trailheads. Program is free. 5:30-7:30 pm. July 4: Independence Day Celebration—Living history demonstrations, a military encampment, tours of historic buildings, and readings of the Declaration of Independence are on tap. Admission: $8 (age 12+), $4 (age 5-11). 10 am-4 pm (readings are at 11 am and 2 pm). July 6: Meet the Artist—meet featured artist Scott Spicer, see some of his work, and enjoy light refreshments. 10 am-4 pm. July 8, 15, 22, 29: Nature by the Yard—interpretive naturalist Pam Newitt will teach a different natural history topic each week, geared to children grade 5 and below. Cost is $12 per child per class or $45 for all four classes. Call 215/493-4076 to register. 9:30-11 am. July 10, 17, 24, 31: Nature Classes—staff from the Academy of Natural Sciences will focus the class on a different animal each week. Target audience is children in grades 5-8. Call 215/493-4076 for details and to register. 9 am-noon. July 30: Films at the Farmstead—a family-friendly movie night under the stars at the Thompson-Neely House and Farmstead. Tonight's feature is "The LEGO Movie." Admission is $5 (age 5+); please bring a blanket to sit on and feel free to bring a picnic. 7-10 pm. Today's guest blogger is Sean Adkins, PHMC's new Information Specialist. Among his other duties, Sean will be attending events and programs on the Trails of History and plans to live-Tweet and blog about his visits. So you'll be hearing more from him on Trailheads in the future. Welcome, Sean! Before Philadelphia artist Michael Pavol could start painting his award-winning "Josie," the work of art needed a subject...and a small, plastic skull. Pavol's inspiration came in the form of a young girl who had little interest in the artist, his camera or his vision for the canvas. The 2014 Art of the State award winner struggled to occupy the girl long enough so that his camera could capture the right image. During the shoot, the girl stumbled upon a small, plastic skull living among the debris strewn about the artist's studio. The skull, most likely a toy forgotten in the studio by Pavol's son, became the distraction Pavol had been seeking. Soon, both the artist and his subject were engaged in a lively discussion about the skull. "At some point, she stopped paying attention to the skull and looked at the camera," Pavol said the night he took home a third-place painting award. Pavol was one of 21 artists honored June 21 by Art of the State. Aside from chatting with Pavol about the origins of his "Josie," I spent most of the awards reception mingling with area artists, attempting to decipher the meaning behind various works. Michael Brolly of Bethlehem rarely ventured far from his first-place sculpture, "Glass Piece." The few times he did manage to make it a few steps, curious art fans would call him back, inquiring how such a sculpture came into being. Others, such as Lauren Lindsay, 12, and Martine Glena, 13, attended the annual event not to show off their creation, but to view themselves immortalized on canvas. The two girls were the subject of the painting, "The Tablet." "I'm going to text my friends and tell them how famous we are," Lindsay said. The Art of the State exhibit will be open to the public through Sept. 14 at The State Museum of Pennsylvania.